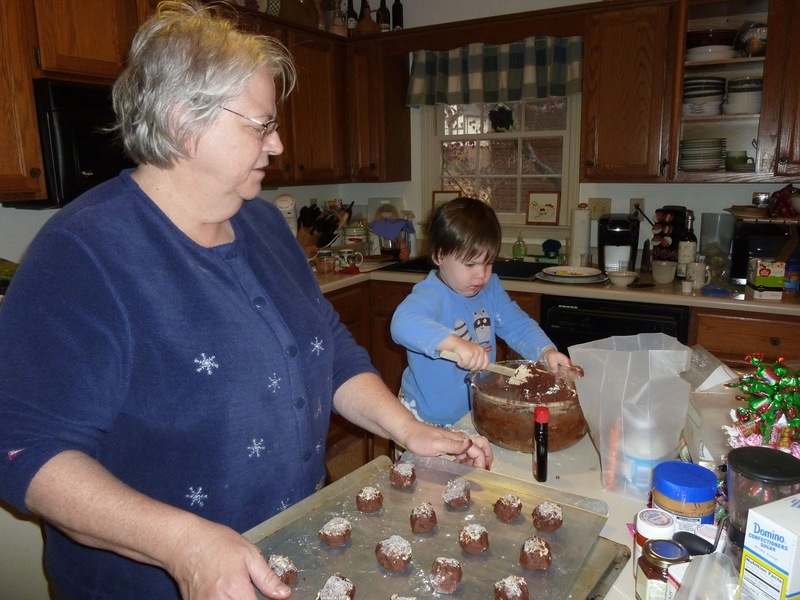 Here are some of the highlights of our — dare I say it — relaxing 2011 holiday season. I tried very hard to keep it simple for everyone. We didn't go to every party. I focused on decorating one room. We watched lots of Christmas specials — Joseph was especially fond of "Rudolph the Red-Nose Reindeer" and "Polar Express" was a must-see for Will. I'm at peace with the Christmas cards being late. Traditions were kept and memories made. 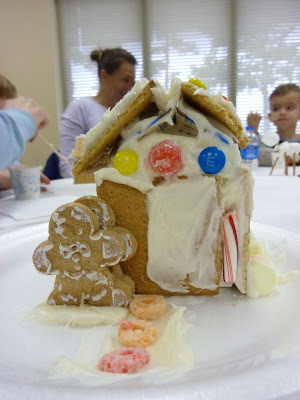 Gingerbread houses and handprint wreaths are must-do activities at our local library. 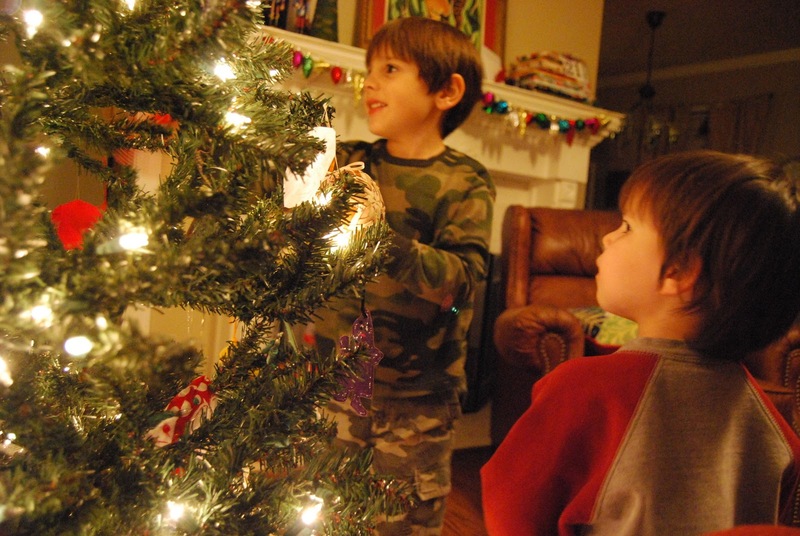 The boys helped decorate the tree. And while it wasn't perfect, it was PERFECT! Baking with Nana. The Rolo cookies were very tasty this year. All I made this year were the traditional sweet rolls for Christmas morning. I'm very lucky that my mom makes my favorite treats like Chex Mix and Butterscotch Pretzels. YUM! Soon it will be time to take down the tree and put up all the Christmas boxes still sitting on the back porch. Here's wishing the magic of the season will stay with us well into the new year.